Hi all, obviously there isn't a whole lot of content on here yet. I'll be adding more gradually as I get a feel for what might be of interest to my followers. I have set up an email sign-up link at the bottom of my blog. If you sign up, you'll get notified every time I post something new. PLUS, you will be part of a special VIP list that receives exclusive offers to my Etsy shop! 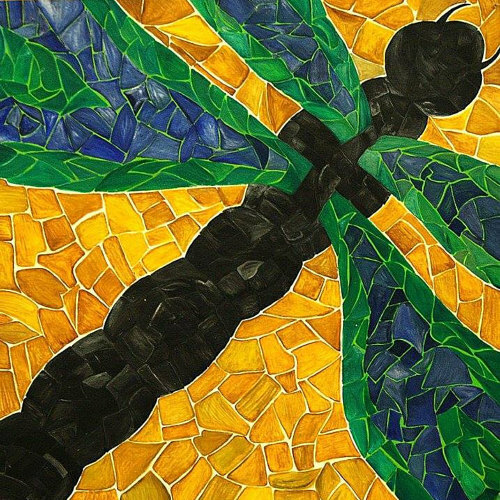 Dragonfly Mosaic Painting by Original Sin Art. Acrylic on card. c. 1998.